Puh, I've done it. After spending the last three months with Thomas, Newt, Minho and Teresa in the boiling hot Scorch, I can safely say I made it. My reading powers are exhausted, my patience strained to the last page and I've come to the limits of my logic understanding, but thank God I made it through the entire Scorch so now I can proudly say I've completed and passed the trial. 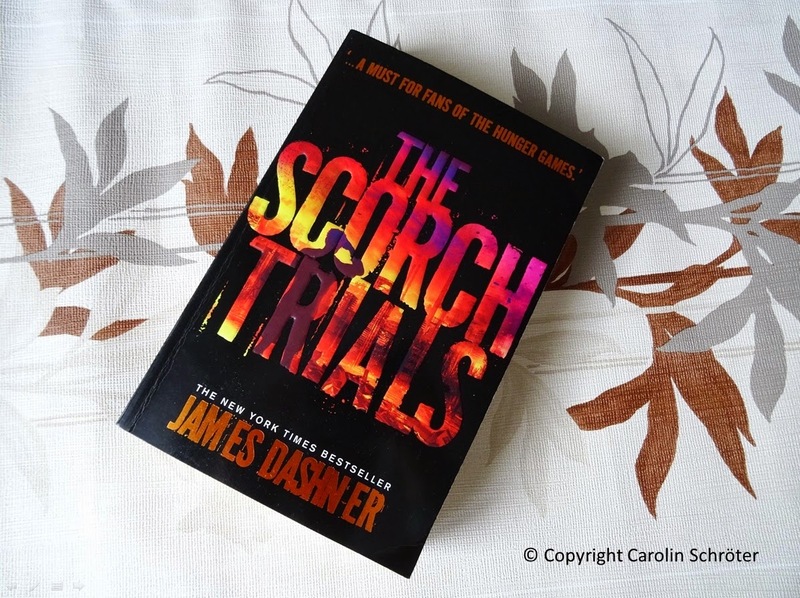 If you're interested what adventures I've been through in The Maze Runner: Scorch Trials* then please read my spoiler free review. After the escape from the Maze, I'm rescued with Thomas and the Gladers at a safe place. But things start to get super weird pretty quickly, so in one minute Teresa is gone, the next a new boy called Aris miraculously turns up and before I know it, someone from WICKED finally makes an appearance and kindly tells me and the others (kind of) what's going on. The next thing I remember is I'm thrown into a dusty, hot boiling, hostile desert, called the Scorch. I'm told I'll be here for the next two weeks, which actually turns out to be three months. Together with Thomas, Newt, Minho and the rest of the gang, we have to make our way 100 miles north through the wasteland and find a place called the Save Haven where we're supposed to find the solution to all our questions. So let's go on a hike. Needless to say, the hike isn't as idyllic as you may assume. We face thirst and hunger, fight silver transformed alien balls, rescue ourselves from dangerous storms or struggle with our energies. The who, what, when, where and how constantly circulates and messes around with our minds. Who is the man randomly sitting in the wasteland? What is WICKED's master plan? When did Teresa have time to wait for Thomas in a shed? Where is the best place to hide in the city of cranks? And how does it come, that everyone splits up all the time but finds back together in the end? It doesn't make any sense. The logic goes overboard a few times but I blame it on the thirst and hunger. That's kind of doable for me because Maoam and Ice Tea help me to keep my sugar levels high up which gives me enough strength to continue my way through the Scorch. The most challenging part of surviving was definitely to keep up with my everlasting whining and nagging companion Thomas. Woah, I can tell you, is he a self-centered, constantly crying big baby! I wanted to spend more time with Newt and Minho, but they are really good in sneaking away and till I realised it, I was left alone with Thomas. AGAIN. When Thomas wasn't unconscious, he liked to pick up random strangers, so instead of making quick moves we had to hang out at a party, flirt with girls and were forced into drinking games, whereas Thomas knows exactly that I hate hangovers the next day. But I was forced to and had no alternative but to go with him and wait till this was all over. Author Dasher didn't help me either because he likes to hear himself talking with no content, so a lot of time was wasted on talking rather than acting. Page after page filled with hollow words. But unlike Thomas, who can't deal with anything, I'm a strong woman. I'm a fighter, so all I could do in such a situation, was to sit down, regain my strengths, and continue the torture of the Scorch once I felt ready. I know I made it to the Save Heaven but I think I caught the Flare on the way. I feel weak and exhausted and can see myself turning into a Crank if I return for the final book The Maze Runner: Killzone. Thank you so much for reading today's post and I hope you'll be joining me on my next adventure. 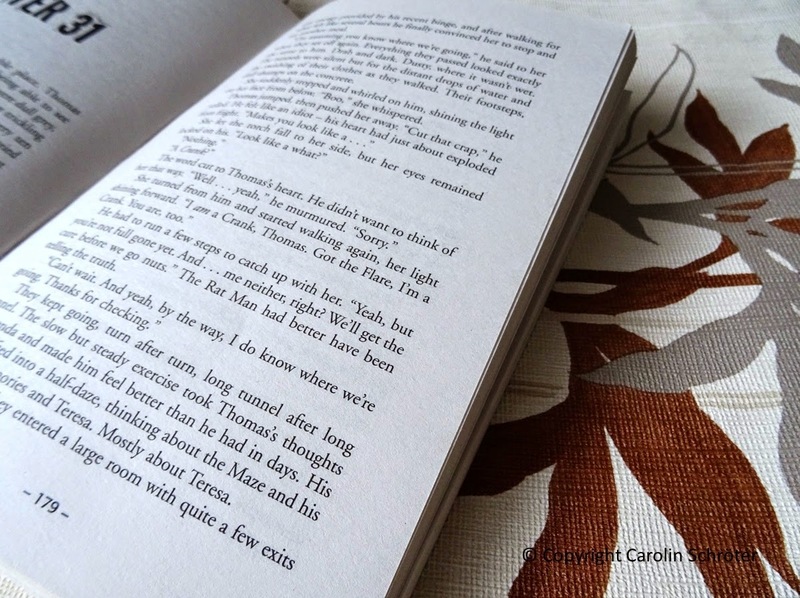 Have you read The Maze Runner series and if so what do you think of it? The film will be out in September, where do you think are filmmakers going to make cuts to the story?